We welcome everyone to our school and do have disabled access to the school and buildings though it is limited in some places due to the split levels within the site. If you are unable to access the school please ring our office on 0114 2484943 and we will help you. Please click here to complete the Ofsted Parentview Consultation about our school. We are offering 30 hour Nursery places. These are currently offered as 28 hours Monday to Thursday 8:30a.m. to 3:30p.m. If an extra full-day is required on Fridays, the additional free 2 hours may be taken on Friday morning with a top-up fee for the remainder of the day. 15 hour places are either mornings (8:30 to 11:30) or afternoons (12:30 to 3:30). Breakfast club from 7:55a.m. and After school club to 6p.m. is also available. Click here for a letter about Nursery places from September 2017. For complaints please see our Complaints Policy. Please contact class teachers or the school office in the first instance. If you wish to see the Headteacher please call at the school office or telephone school on 0114 2484943. If you would like to speak with any of our governors please call at the school office with your details and we will arrange for someone to contact you. Waterthorpe Infant School's Y1R class. Waterthorpe Nursery Infant is part of a complex that houses our Infant Nursery School, a Junior School, a church and community rooms that are accessed by a range of groups (both during the school day and after school). As a school we are committed to working with the community to provide opportunities for all our children. Parental engagement is always a priority for our school. We firmly believe that the role of parents and families in the education of their children, through broad and engaging extended curriculum, is vital. We strive to work with families to provide opportunities for everyone to be involved in their child’s learning. Each year we run a range of workshops for parents and families. These include workshops about different curriculum areas, the Foundation Stage and SEAL workshops (Social and Emotional Aspects of learning). Our workshops are run at different times of the day and on different days of the week to help provide opportunities for everyone to attend at least one. Please see our diary for dates of workshops. We have developed our homework through consultation with parents to provide families and children an opportunity to engage at different levels appropriate to their need and capacity. The main area, where we would like families to work with children, is reading. Please listen to your child read for 5 to 10 minutes each day. The more children read the greater fluency they will have. Asking them questions about what they are reading is also very important. At different stages children will also have key words and sounds to learn. You should find these in their book bag. Children in Key Stage 1 will also have weekly spellings that they will bring home. They are tested on these in school in each week. Learning to spell these words will greatly help them in their writing fluency and confidence. We run a pre-Nursery group where families are introduced to our Nursery and how parents can help prepare children as they start off their school journey. We are running the REAL (Raising Early Attainment in Literacy) project within our Early Years. Waterthorpe NI School works closely with the other 9 schools in the family. These are: Westfield School, Brook House Junior School, Beighton Nursery Infant School, Reignhead Primary School, Shortbrook Primary School, Mosborough Primary School, Halfway Nursery Infant School, Halfway Junior School and Emmanuel Junior Academy. 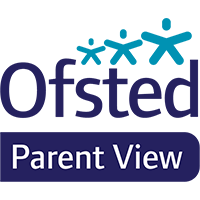 Click the link to OfSTED’s Parent View tool where you can share your views of the school. In September we attended the Star Awards event at Mercure St. Paul’s Hotel. We were delighted to receive a Special recognition Award in the Best School’s category.